When we are young, we learn that everything has its place. You buy food at the grocery store, books live at the library, and money goes into banks. As we get older and experience the complexity of the world, we realize that life is rarely so cut and dry. Just like food can also be found at the farmer’s market, there are also many options for places to put you money other than banks. 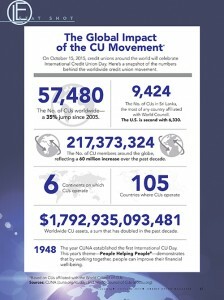 While the number of investment opportunities seem infinite, one popular alternative to a bank is a credit union. This naturally leads to the struggle of banks vs credit unions and which makes the most sense for you. In order to make that decision, you must first make sure you know the difference between the two. Many people think that given certain criteria, one is the “correct” choice. In actuality, there are many similarities that muddy this issue. Safety: Both banks and credit unions are a safe place to keep your funds. In other words, if either of them go under, your money will be protected by the government as they both are insured. Credit Unions have NCUSIF Insurance while banks are insured by the FDIC. That said, not all institutions are equally insured, and some are insured privately. Locations: While it is generally easier to find traditional banks as they often have a large numbers of branches, many credit unions have made up for their smaller territories with a nationwide network of CO-OP ATMs. This allows members to access about thousands of branches all over the country, often without additional fees. Customer Service: This is usually paramount to both, but always subject to human behavior. While credit unions encourage a community feel where there are fewer employees/customers and it is more personalized, the process may be less formal. Banks on the other hand have round the clock service, mobile apps, and user-friendly websites. That said, people often do not need much from a bank website other than moving around funds, so it really depends on need. Community: As mentioned above, credit unions are all about a pleasant shared experience of ownership. They make it a point to positively impact the local communities. While some banks have large philanthropic wings, it is generally not as much of a priority. Membership: Not just anyone can open an account at any credit union they like. This differs from banks. While membership criteria has expanded recently, consumers must meet certain criteria such as employee groups, associations, affiliations, and area of residency. 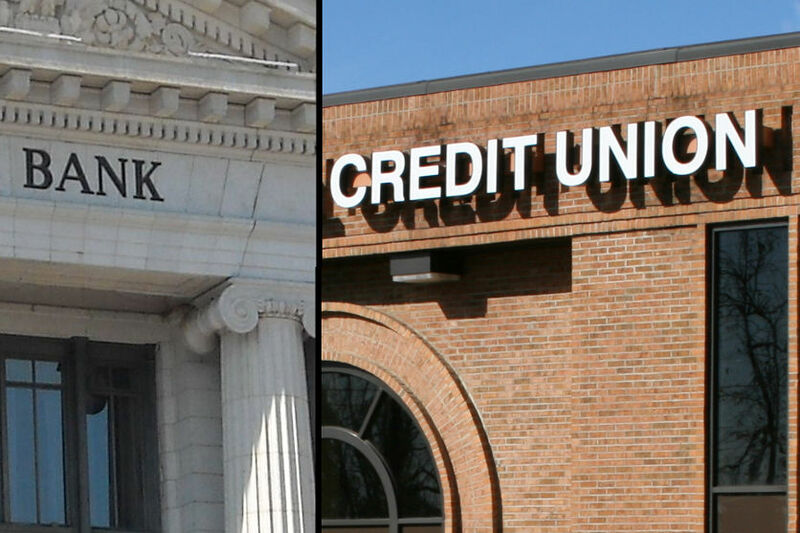 Rates: While the services offered are similar, credit unions generally offer higher interest rates, lower loan rates, and lower fees than traditional banks. However, new online banks are changing this as they offer better rates than both. While both can meet your needs, it really depends on what your goals are and with what you are the most comfortable. Sometimes people like the idea of ownership and do not want to get involved with the big banking institutions. Meanwhile, some people like the influence, experience, and smooth operation of a bank. That said, you should always inquire with both to see where you can get the best rate.